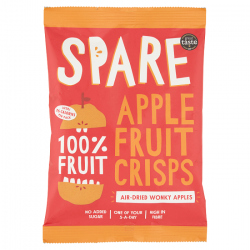 Our crunchy crisps are air-dried, not fried, and made with fresh, wonderfully wonky produce. 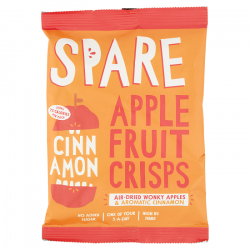 Just because they might be oddly shaped, discoloured or blemished, doesn’t mean they can’t be delicious.Pear-fect for anytime healthy snacking, indulgent dipping or adding crunch to salads, cereal or lunch boxes. 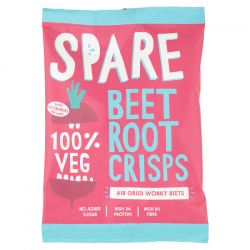 The full range is un-beet-able for anytime healthy snacking, indulgent dipping and crunching with a coffee al-desko or a tipple after work. Apple, Pear and Beetroot are 100% fruit / veg and pear-fect for families and health conscious customers.The new healthily seasoned range is deliciously indulgent without sacrificing flavour or goodness and the new beetroot varieties bring a whole wonky world of superfood goodness. 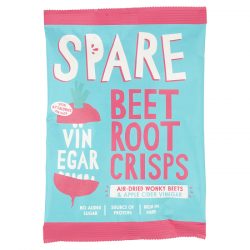 Beetroot & ACV - like a healthy salt and vinegar crisp! Apple & Cinnamon - like apple pie! Pear & Ginger - like a ginger nut biscuit!